Meghan Markle fashion. Championing for sustainable fashion long before becoming the Duchess of Sussex, WTVOX brings you the top five eco-conscious labels Meghan Markle has been the been wearing so far. The importance of sustainable fashion has always been an ardent subject in Meghan’s life and the time has come to take a look at the sustainable brands the Duchess has worn since becoming a fully-fledged member of the royal family. Some argue that this brand became famous after Meghan wore the brand’s ‘Husband shirt’. 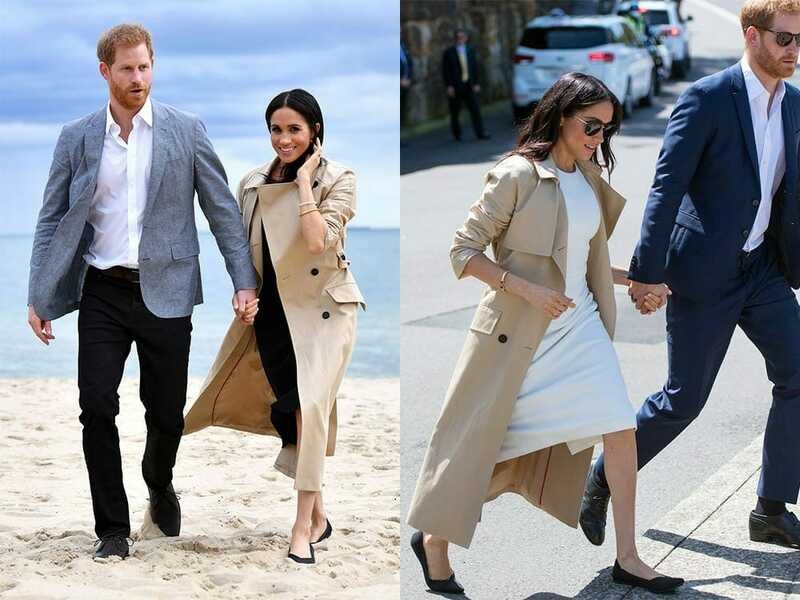 However, the Duchess of Sussex has been a long time fan and good friend of the New York-based fashion brand, Misha Nonoo. In fact, the American fashion designer is the person who arranged the very first meeting between Meghan and Prince Harry, in London. Misha Nonoo is one of the very few fashion labels that employes highly ethical practices, coupled with sustainable and recycling programmes. The Duchess has made another eco-friendly statement by wearing a pair of sustainable point flats while visiting a Melbourne beach in 2018. Made by Rothy’s, a sustainable fashion label established in 2016, the upper layer of the flats is made entirely from recycled plastic bottles. The insoles are constructed from old shoes re-purposed foam. 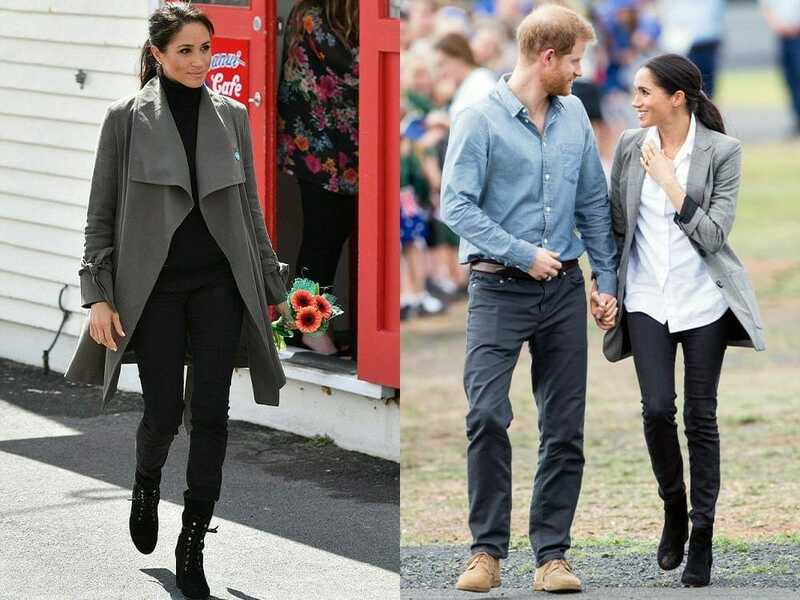 This Australian brand came to popularity after the Duchess wore their Outland Denim’s high-rise Harriet jeans, during her first overseas tour last year. Outland Denim uses ethically sourced materials and employs low-income women in Cambodia. The brand’s spokesman talked about the ‘Meghan-effect’ revealing that sales grew by 640 per cent following Maghan’s endorsement. 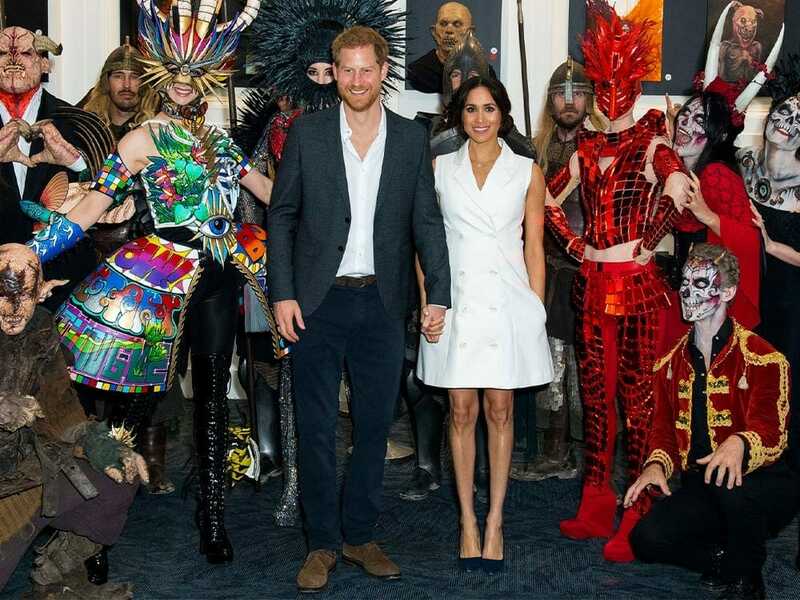 During her first royal tour in New Zealand, the Duchess of Sussex wore a white tuxedo dress made by Maggie Marilyn, a sustainable fashion label based in Wellington, New Zealand. The brand was founded by Maggie Hewitt, a young New Zealandese designer in 2016. The fashion label manufactures its clothes only from environmentally-friendly fabrics and only with local workers, to maintain its sustainability and ethical locus. 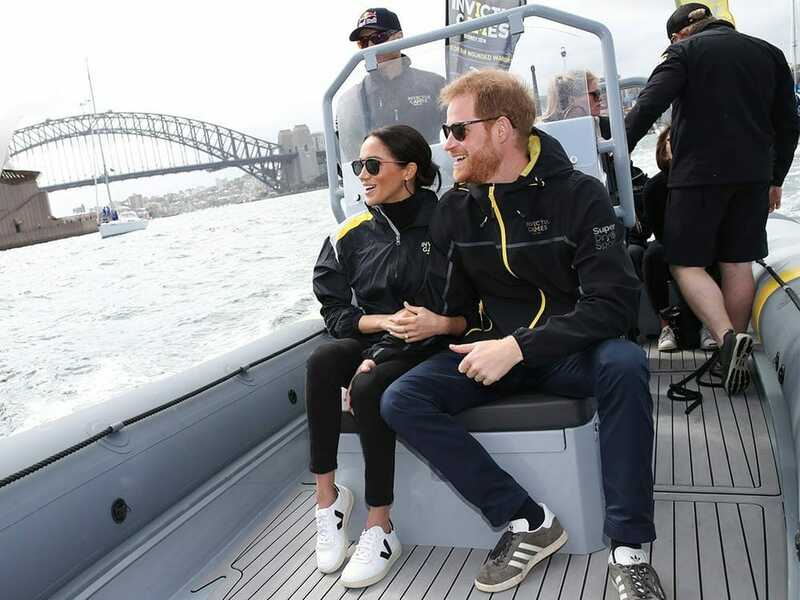 Veja had almost achieved the status of a cult when the Duchess of Sussex wore the brand’s Esplar trainers during the Invictus Games in Sydney in 2018. The French brand for casual trainers has at the core of its mission full transparency of supply chains. More recently the brand has lost its lustre after introducing sneakers made of animal leather in its offering. The move has made the ‘vegan brand’ image the company has been trying to create over the last five years as questionable greenwashing.